Manhasset Bay Associates, a New York-based private equity property group, sold the tract for $2.195 million. 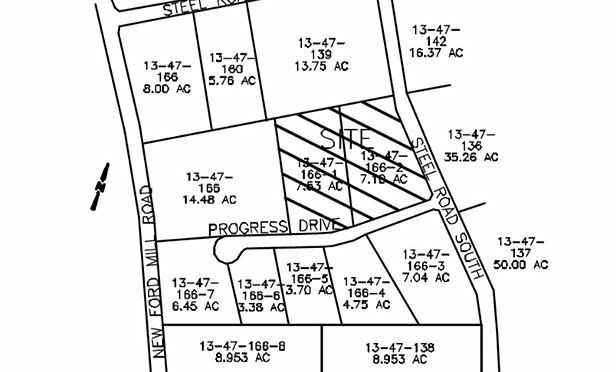 Property diagram showing location of the 14.63-acre tract. MORRISVILLE, PA—Roddy Inc., a Bensalem, PA-based industrial and commercial real estate brokerage firm, brokered the sale of a 14.63-acre land parcel located at the corner of Progress Drive & Steel Road South, New Ford Mill Rd Industrial Park, Morrisville, Bucks County, PA.